I'll be LIVE on Facebook tonight 11/29 @7:30 PM EST! Join me on my Facebook page at 7:30 pm HERE. 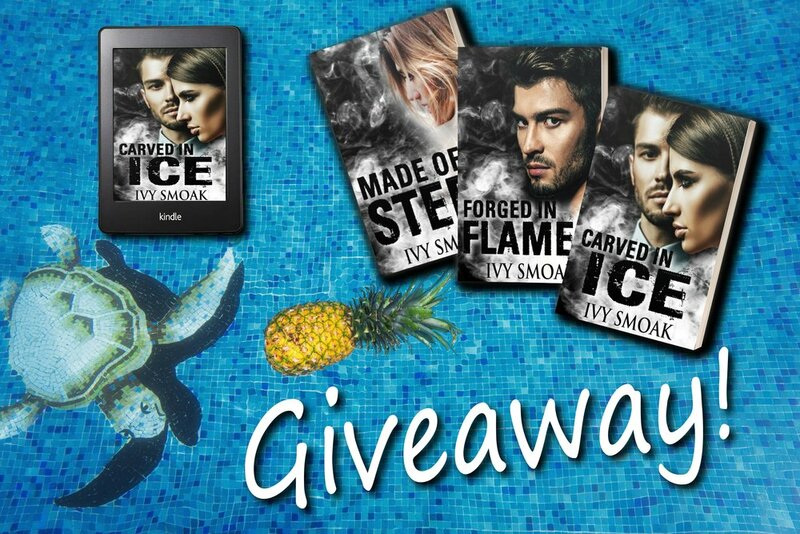 Carved in Ice is LIVE!!! Plus a HUGE Giveaway! It’s release day!!! Carved in Ice is officially live. I can’t to see what you think of the conclusion to the Made of Steel series. Who will Summer choose – Miles, Eli, or V? Will she finally get revenge against Don? And seriously, who is V? You’ll get answers to all your questions in this book! Mark your calendars for next Thursday (7/19) at 9 pm EST because I’ll be hosting a release party on my Facebook page. It’s going to be tons of fun! Let me know you’ll be attending the live event HERE.